Wednesday August 17 the Pierce County Chamber of Commerce came by our office with "The Opportunity Tour". 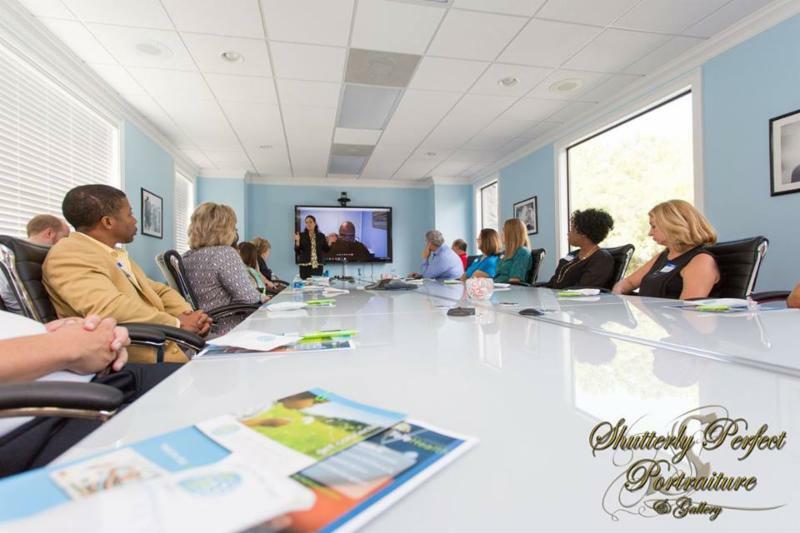 The 25 attendees consisted of Pierce County area business women and men, who came to learn about the services and products offered by Global Partnership for TeleHealth. This tour provided attendees with a comprehensive look at the work of Global Partnership for TeleHealth highlighting the great telehealth work in Georgia. The tour began with a demonstration of the telehealth equipment by Les Evans, Lead Liaison and Tommy Miller, Office Manager for GPT. The attendees were able to see how the special equipment, including the Bluetooth stethoscope, works and understand how patients can have better access to healthcare through a GPT telehealth site. telling about the history of GPT. Through a slide show they were able to convey how much GPT has grown, where telehealth sites/providers are located, and how beneficial it is to see a physician using specialized telehealth cameras and equipment. They were also able to expound on the use of telehealth through the local school nurse's offices, encouraging the application in the schools of this area. GPT was able to showcase the beautiful modern building that serves as the home office. It is housed in what was formerly known as "The Patterson Bank". All the attendees were amazed at how beautiful the offices were and many commented on the renovation. We, at GPT, love the community of Pierce County and plan to be here for all the telehealth needs of this area. 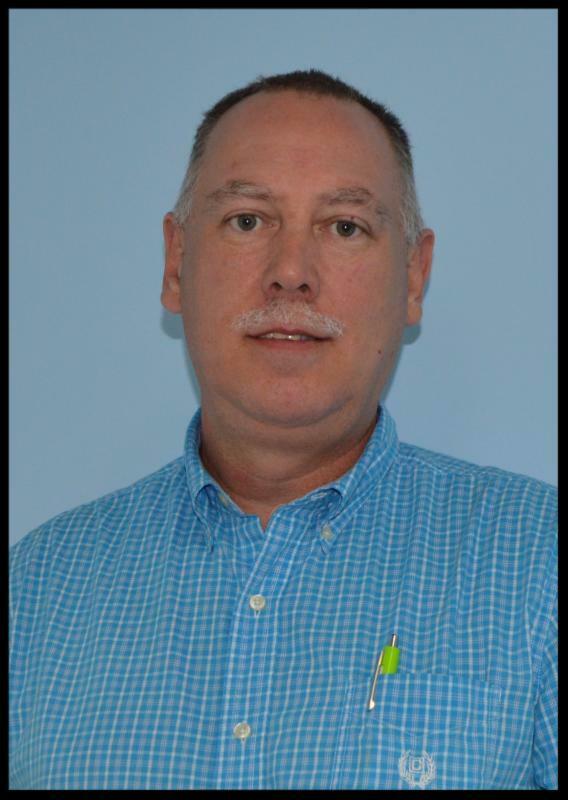 Kurt has amassed almost two decades of experience as a technician within the IT world. As an IT Technician on the GPT team, he is responsible for providing support for GPT Staff and Partners. Kurt's role goes beyond technical support of our equipment. He works to create relationships with partners, clients and medical personnel that rely on telehealth devices at our sites. He communicates with GPT's liaisons to help support clients and partners in the field. Kurt has a great familiarity with GPT's local network infrastructure, ensuring reliability to our customer base. In Kurt's spare time he enjoys spending time with his wife and dogs, Tinker and Leah. Kurt also enjoys bass fishing, working on old cars, computers and learning new things. Dr. Barrow began his career in education in 1980. He is in his third year as the Superintendent of Fayette County Schools, having served previously as a teacher, assistant principal, principal, and superintendent across the K-12 spectrum in several Georgia school systems. Dr. Barrow has been awarded multiple honors during his career. He received the prestigious Georgia School Superintendents Association's Bill Barr Leadership Award as well as being named the Georgia Association of Educational Leader's Outstanding Educator and the Georgia Partnership for TeleHealth Champion of the Year. 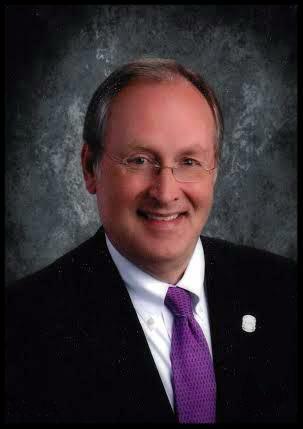 He was recognized by the Georgia Senate for efforts in educational excellence and was chosen as Superintendent of the Year for the Georgia Head Start Program in 2012. In 2015, Dr. Barrow was selected as the College of Education Alumnus of the Year for Georgia Southern University. 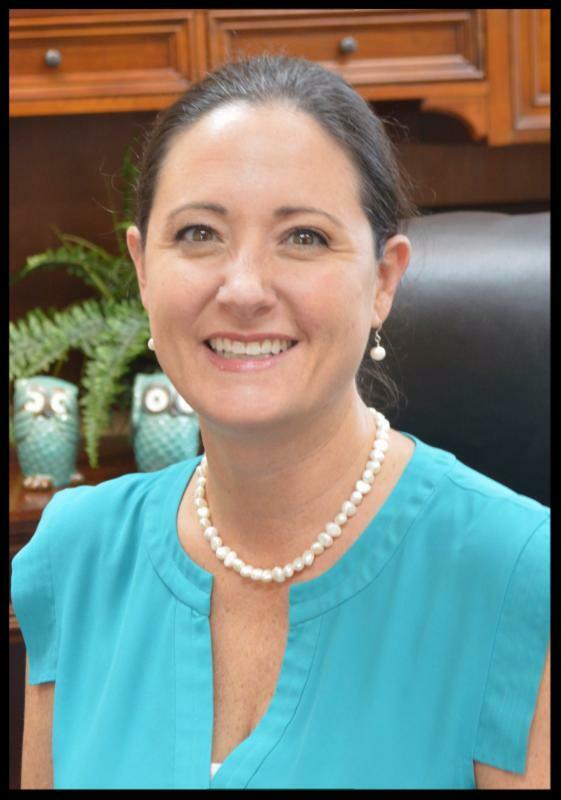 Dr. Barrow was a finalist for the Superintendent of the Year for GSSA and was awarded the AVPRIDE "Diamonds in the Rough" honor in 2016. He and his wife, Dr. Susan Barrow, are the proud parents of five children, two of whom are currently enrolled in the Fayette County School System. The Georgia Department of Community Health (DCH), Medicaid Division is pleased to notify the provider community of a recent State Plan Amendment (SPA) approval from the Centers for Medicare & Medicaid Services (CMS). Effective April 22nd, 2016, Emergency Ambulances may serve as a telemedicine origination site and the ambulance may bill a separate origination site fee. Alabama Partnership for TeleHealth (APT), a charitable nonprofit organization, in partnership with the Southeastern TeleHealth Resource Center have recognized Medical AIDS Outreach of Alabama with the "Telehealth Champion of the Year" award for its exceptional dedication to furthering the use and knowledge of telehealth in Alabama. 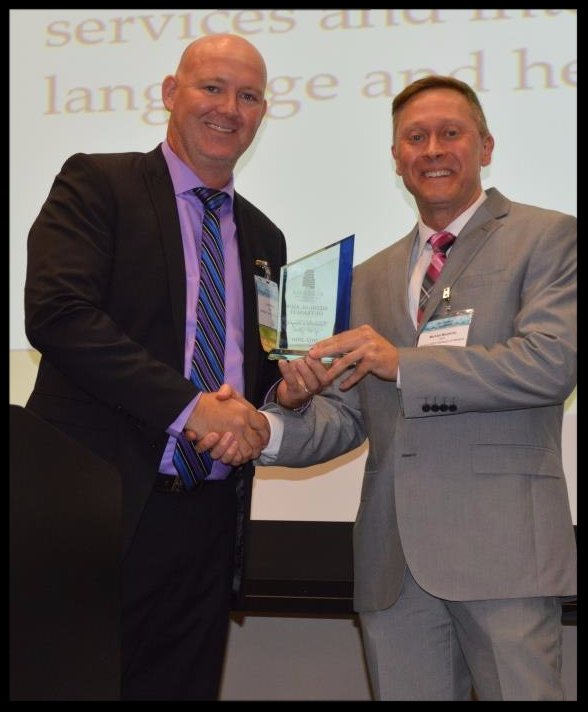 The award was presented before nearly 200 telehealth industry colleagues at APT's recent Fifth Annual Alabama Telehealth Summit, which took place on August 9, 2016, at the University of Alabama at Birmingham (UAB) Hill Student Center. "Medical AIDS Outreach of Alabama is a great example of the power of telehealth in action and we are very proud to recognize the organization's work with the 'Telehealth Champion of the Year' award," says Rena Brewer, CEO of the Global Partnership for TeleHealth, the parent organization of APT. 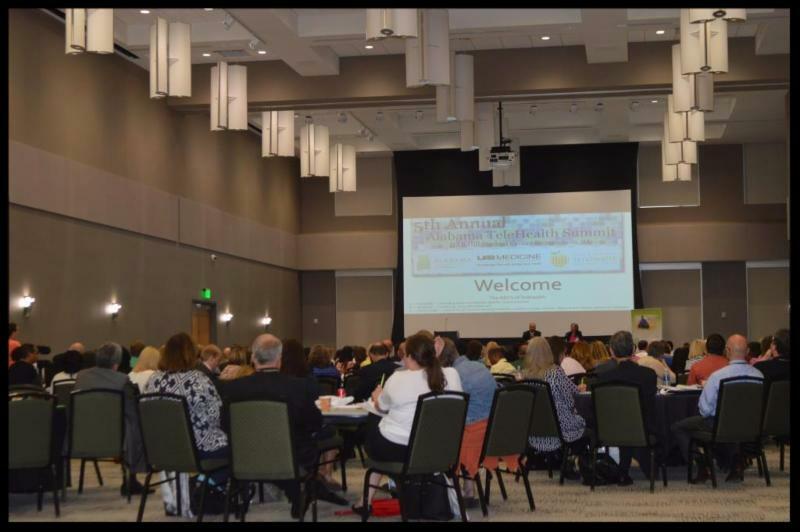 "Thank you to all that joined us during this year's summit for important discussions on how we can further grow telehealth programs in communities throughout Alabama, especially in rural areas that need greater access to specialized care." This year's conference theme, "The ABCs of Telehealth - Accessible, Beneficial, Cutting Edge," brought together top telemedicine minds and key telehealth stakeholders in Alabama, including healthcare providers, IT professionals, telecom providers, hospital administrators, school-based health professionals, government policy advisors and medical mission group representatives. The annual event covered a wide array of telehealth topics that included updates on state regulations, trends in school-based programs and new tools to support successful operations. All Alabama Telehealth Summit conference presentations are available via the Global Partnership for Telehealth website. Click here to access this year's presentation slides. 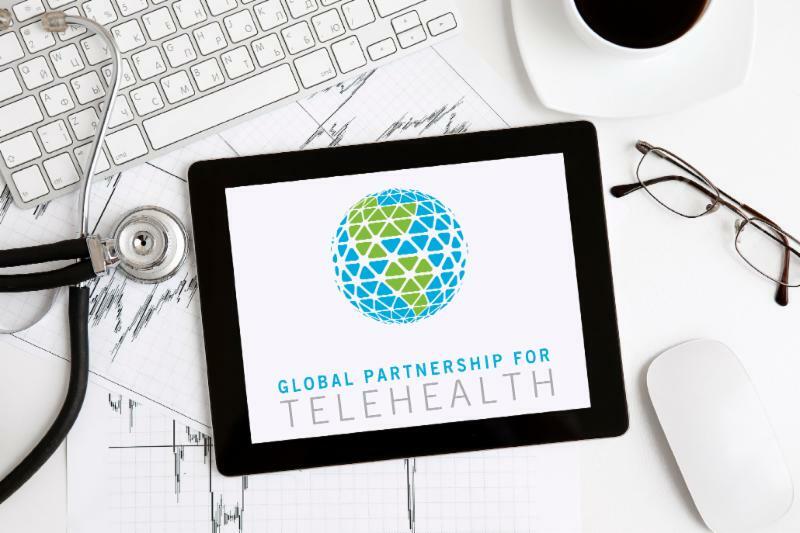 Global Partnership for TeleHealth (GPTH), a charitable nonprofit promoting the establishment of telemedicine programs in underserved communities, announces the appointment of Sherrie Williams as its Chief Operations Officer (COO).Williams is a Licensed Clinical Social Worker (LCSW) that has dedicated her career to spreading awareness of telemedicine's importance. For nearly 15 years, she witnessed countless hardships of children and families that were unable to get appropriate medical and mental health care. She has seen the power of telemedicine first hand and believes it is the most effective means to providing rural and underserved areas with quality medical care. "It's truly an honor to be the Chief Operations Officer for the Global Partnership of Telehealth," says Williams. "I strongly believe that telemedicine is the answer for the healthcare shortage of rural and underprivileged areas of the United States. In my new role, I will place a special emphasis on continuing to implement the best technologies as they become available, so that those who receive our telemedicine services have a first-rate experience, while receiving top notch-medical and mental health care." Prior to being appointed GPTH's COO, Williams spent over four years working at the Georgia Partnership for Telehealth, a charitable nonprofit that promotes the establishment of telemedicine programs in communities throughout Georgia. At the Georgia Partnership for Telehealth, she worked as the organization's Executive Director as well as the Director of State Telehealth Programming and School-Based Telehealth Liaison. Williams worked with health systems, public schools and state agencies to develop and implement telemedicine programs throughout rural Georgia. 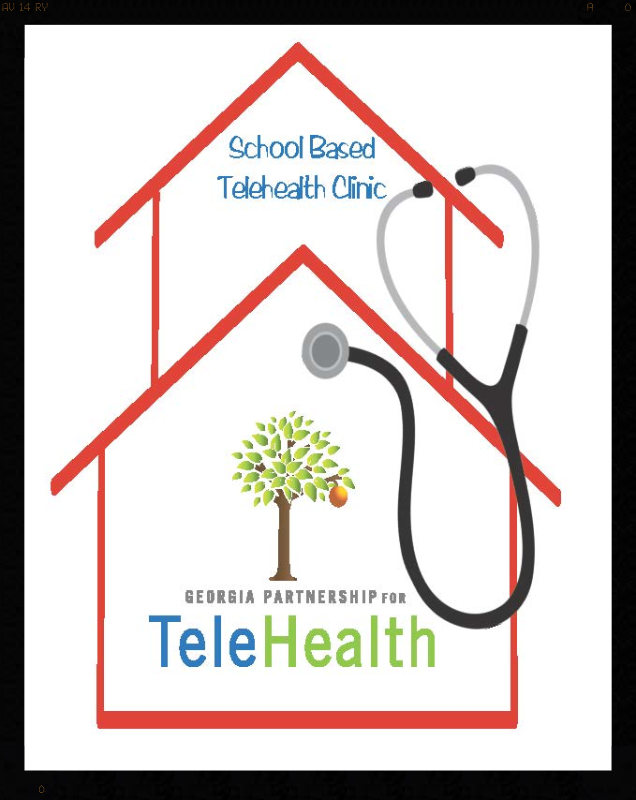 Before joining the Georgia Partnership for Telehealth team, Williams oversaw the telehealth component to a school-based health clinic, which experienced phenomenal success collaborating with local primary care providers, pediatric specialists from resource-rich urban areas, the local hospital and several area pharmacies. Her program expanded the Berrien County School System's capacity to meet the health care needs of medically-underserved children. Before her work in the school system, Williams was Director of an outpatient mental health program. Williams earned her Masters of Social Work degree from Valdosta State University and holds a Bachelor's Degree in Science. 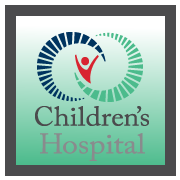 GPT is pleased to spotlight Children's Hospital,Navicent Health(CHNH) from Macon. The partnership between Pediatric Gasteroenterology-Navicent Health Physician Group, Tift Regional Medical Center(TRMC) and GPT has been such a benefit for families in South Georgia. This partnership is excited to provide a convenient and cost effective way for pediatric patients to receive needed care for gastroenterology issues. Below are quotes from some of the physicians in this group. Noel Israel, Pediatric Gastroenterologist-Navicent Health Physician Group says "I was not as enthusiastic adopting early to this, but after I realized how it increases patient's compliance to follow up on their visits, it became clear to me how this is a no-brainier is a win at both ends, allowing us extension of our service and productivity, and breaking the barrier of long distance and non-compliance of the families we serve. I have also had interactions with the referring PCP's this way, allowing us to better collaborate on patient care." 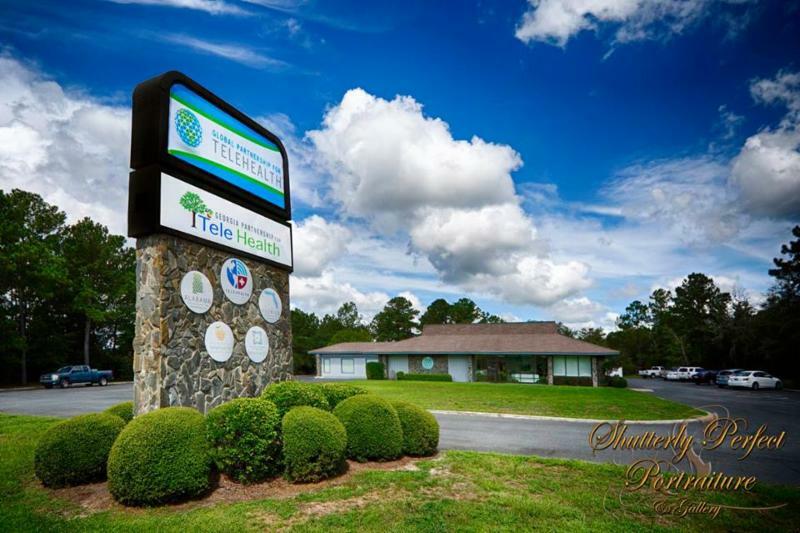 Charlanna Cantera,RN with Pediatric Gasteroenterology-Navicent Health Physician Group says " We started our telehealth program August 28,2015. On July 27,2016 we served our 160th patient via telemedicine. The program has really taken off and our patients are now asking to be seen in our telehealth clinic. In the near future, we plan to add more presenter sites for our patients. We are excited to provide quality care to our pediatric gastroenterology patient population at the right place, time and cost by means of telemedicine." Kim Horton, practice manager with Pediatric Gasteroenterology-Navicent Health Physician Group has to say "Telehealth is timely, affordable and available. We owe it to our patients to be efficient in time, money, and availability. This is how we as professionals in healthcare can make a difference in the lives of our patients and their healthcare needs." Thank you Navicent Health Physician Group and your Pediatric Gastroenterology Team for choosing to provide care through the application of telehealth. The escalation of telehealth services across the nation represents one of the biggest shifts in healthcare delivery over the last decade. What are two of the driving forces behind this increase? The ageing American population is stressing the healthcare delivery system. Between 2000 and 2050, the number of older people is projected to increase by 135% and this population represents a shift from the treatment of acute illnesses to chronic illnesses which require greater healthcare resources to manage. Telehealth applications are being used to bring health care to the elderly in a number of settings to include the home for post discharge visits & chronic disease management, skilled nursing facilities to decrease transports providing on-site physician visits, and hospice centers to enhance end of life care. According to the Association of American Medical Colleges, by 2025 US could lose up to 90,000 physicians with one third being PCPs. The physician shortage remains especially problematic in rural areas, where more than 20 percent of the U.S. population resides but only 10 percent of physicians practice. Telehealth erases distance and is transporting urban providers to rural communities enhancing the communities ability to provide hometown healthcare. The healthcare system as a whole is being required to "Do More with Less." The financial bottom line is being negatively impacted by a cascade of factors to include reduced payments and the reality of penalties under Medicare quality improvement programs, including the Hospital Readmissions Reduction Program, the Value-Based Purchasing Program. Telehealth is one tool that can be used to follow patients post discharge and improve outcomes in order to decrease and avoid hospital readmissions. Telehealth can also enable a health system to expand services without hiring staff such is the case when TeleStroke is implemented in the ED or when Paediatric Specialists provide tele-consultations. 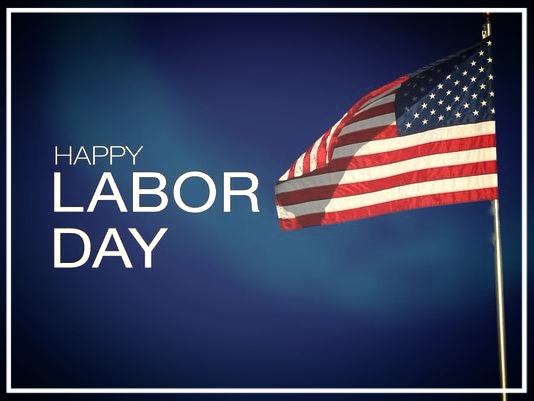 If you have a question you would like answered please contact Lloyd Sirmons, Director, at lloyd.sirmons@setrc.us.